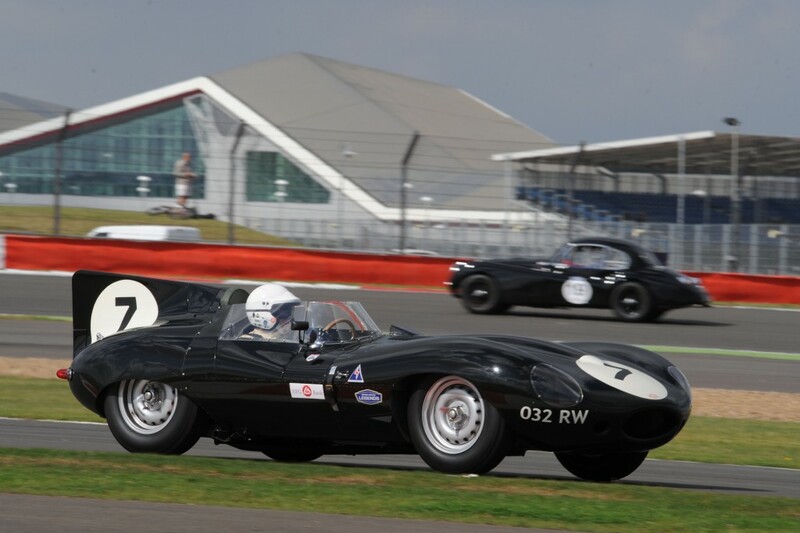 The 2013 Silverstone Classic not only lived up to its billing as ‘the world’s biggest classic motor racing festival’ but surpassed all expectations establishing a host of new benchmarks and records. The huge three-day extravaganza boasted its biggest ever entry as well as unrivaled on-track parades, an incredible new lap record plus a mass of famous faces all relishing the breathtaking atmosphere in a record attendance of 90,000, up from 83,500 in 2012. Spanning nine decades of glorious motor sport history, this year’s incredible line-up of 24 races set a new world record. 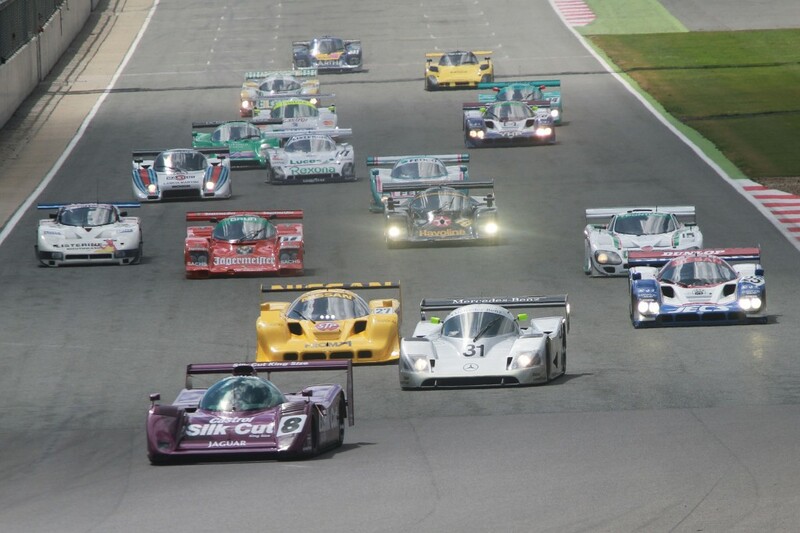 With 1104 entries in 2011, the Silverstone Classic was already in the record books as the biggest race meeting ever staged anywhere on the globe. Now this year’s event has broken its own record with an unprecedented entry totaling no fewer than 1113 of the world’s finest and most authentic historic racing cars. Moreover many of the fiercely fought races – including the blue riband Piper Heidseck International Trophy for GT Cars in association with Chopard – were hugely oversubscribed while the two new Balvenie Trophy races boasted the largest grids of Formula Ford cars ever seen. The racing also attracted a growing number of top drivers from past and present generations. Former F1 driver and Le Mans winner Jackie Oliver proved he’s lost none of his competitive spirit winning the prestigious Royal Automobile Club Tourist Trophy for Historic Cars in the fabulous Ferrari 250 SWB he shared with Gary Pearson. Andy Priaulx – a three time FIA World Touring Car Champion – was among the pace-setters in the action-packed Sir John Whitmore Trophy for Under 2-Litre Touring Cars in his 1965 BMW 1800 Ti. Meanwhile Rob Huff, the reigning World Touring Car Champion, drifted his little Mini to a stirring class victory among a mighty field of V8 American muscle cars in the Trans-Atlantic Touring Car Trophy race. Another highlight was the sight of 1992 British Touring Car Champion Tim Harvey leading the Super Touring Car Trophy in the flame-spitting Labatt’s liveried Ford Sierra Cosworth that he last raced in 1990. In the end Harvey had to settle for second place behind the more modern Vauxhall Cavalier of current BTCC star Frank Wrathall. TV presenter Tiff Needell was among those setting a new standard in the Formula Ford field while Steve Soper made a comeback behind the wheel of a Ford GT40. Historic racing brothers Gary and John Pearson were prolific first sharing a Jaguar E-type to win the coveted Piper Heidseck International Trophy for GT Cars in association with Chopard on Saturday evening and then a Jaguar D-type to win the Royal Automobile Club Woodcote Trophy on Sunday morning. Gary Pearson also starred in the FIA Masters Historic Sports Cars finishing second in the stunning Porsche 917 he shared with owner Carlos Monteverde. While the six races dedicated to historic F1 cars produced plenty of evocative action – young Michael Lyons dominating both of the FIA Masters races in his RAM Williams FW07 – perhaps the most stunning performance came from Nic Minassian in the 1991 Jaguar XJR-14. After a torrential storm washed out Saturday evening’s Group C race, an extended encounter for these dramatic prototypes was re-organised on Sunday. Twice a podium finisher at Le Mans, Minassian put on a mesmerising display setting a new Silverstone Classic lap record of 1m 46.712 seconds in the purple Ross Brawn-designed Jaguar, averaging close to 123mph around the 3.64-mile grand prix circuit. Among the record crowd savouring the spectacular show were the Duke of Kent, three-time world champion Sir Jackie Stewart and veteran commentator Murray Walker, making his first public appearance since his recent illness. A number of motor sport personalities also attended a very special BRDC Silverstone Classic dinner honouring the 50th anniversary of Jim Clark’s first world championship. As well as speeches from several of the legendary racer’s ex-team-mates, the Jim Clark Trust displayed a large collection of trophies, seen out Scotland for the first time since Clark’s death in 1968. It wasn’t only the amazing line-up of races that stole the headlines, though. 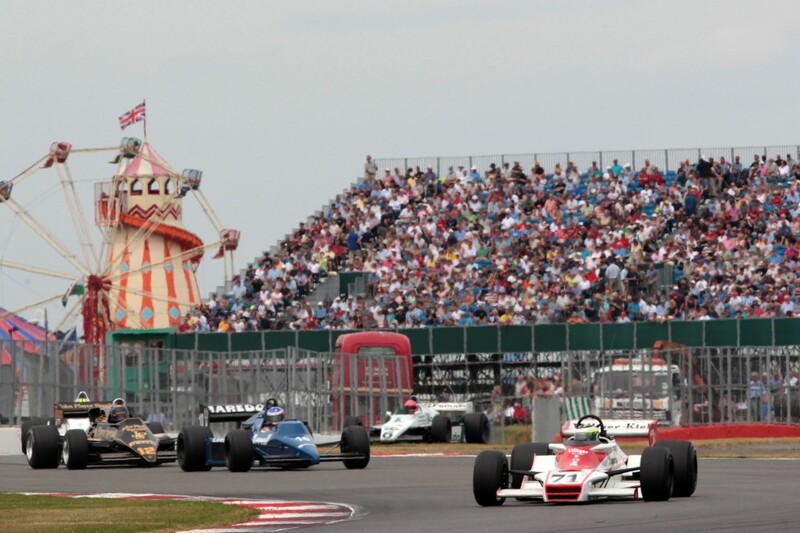 Adding to the dazzling show, more than 8000 classic cars adorned the busy Silverstone infield. Aston Martin marked its centenary as ‘featured marque’ on Saturday while the UK’s largest gathering of Lamborghinis (numbering more than 80 magical models) celebrated the Italian supercar company’s 50th birthday. Sunday, however, was dedicated to Porsche. 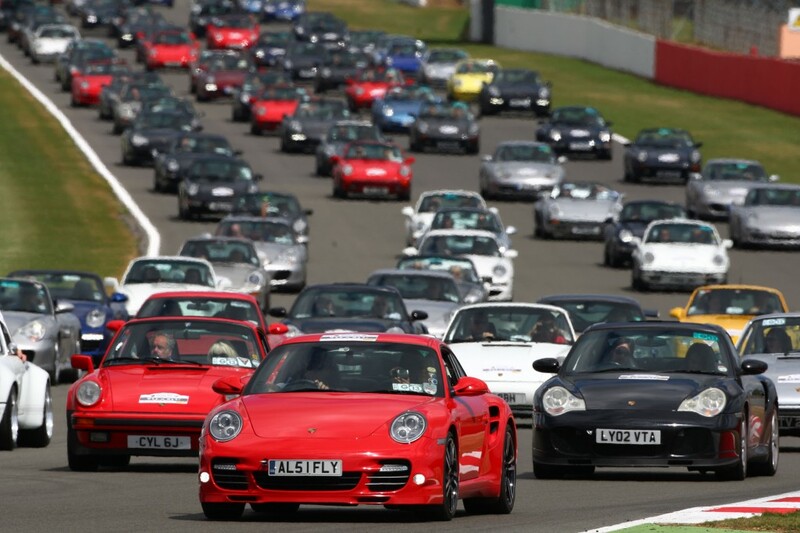 A special parade was organised to mark 50 years of the iconic 911. Thanks to Porsche Club GB and its enthusiastic members the original target of 911 cars was smashed with a world record 1208 taking to the track. Adding to the sense of occasion, the cavalcade was led by five-time Le Mans winner Derek Bell together with Mark Porsche, son of Ferdinand ‘Butzi’ Porsche, designer of the original 911 first unveiled in 1963.